We are so spoiled in San Francisco. I mean look, we can swirl a million, world-class wines, gorge on some of the best food the planet has to offer and surf on the backs of great, white sharks all in the same day! That said, when it comes to the joys of grilling and you live close to Golden Gate park like I do you almost need a full wet-suit to fend off the fog that blasts through the yard in the early evening – just about when you are all set to ignite the propane. So, last weekend when we were rolling into one of our gloriously “warm” afternoons with the thermometer peaking at around 55 degrees and full sun, I thought it counter-intuitive to fall back on the range-top, cast-iron grill standard and instead opted to brave the Pacific Norwester. A decision had been made to tap the bounty of the deep blue for this one and fire up some of Monterey’s fleshy and succulent sardines. Armed with no more than a plump meyer lemon, some extra-virgin olive oil, sea salt and pepper as the simple prep seasonings, the flame was lit and the meal was on! Now of course, while perfectly-grilled, Pacific sardines (especially from Monterey) speak to the soul of any self-respecting, urban sophisticate there are only a few places in the world where the same can be said for a bunch of pre-teens who on this occasion were part of the entourage. A suggestion was made to enhance the culinary experience (and survive the wrath of the youth force) with some wonderfully-flavorful, locally-confected Italian sausages. Contemplating the timing and correct heat for this combination demanded some sparkling rose from California of course. A perfectly-chilled bottle of Roederer Estate Rose was unleashed – the lush pinot fruit and minerally chardonnay profile of which made it seem possible to accomplish anything! The sausages were tackled first then removed to the top, “holding” rack. 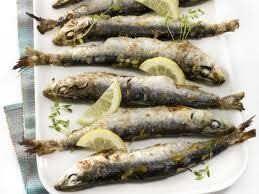 The sardines were seared and then slow grilled for about 8 minutes all in. Now, in San Francisco we celebrate diversity yet the challenge of what to pour with this urban, surf-and-turf combo was real. Succulent, grilled, sweet and spicy Italian sausages could hang with your best light-to-medium basket of global reds but when put forth with Monterey sardines the vinous tightrope thinned considerably. There was no question in my mind that we needed the cleansing magic of bright acidity wrapped around a lush yet slightly-textured wine. While many whites exhibit lovely and refreshing acidity and make wonderful dance partners for seafish and shellfood(think Sauvignon Blanc, Chablis, Albarinho, dry Riesling) they wither in the face of a meat throw-down. Similarly, many a hearty red wine will sit gladly at the altar of a classic roasted offering, lighting up the enticing smokey flavors with their deeply-flavored berry notes, rich textures and just enough tannic backbone to make the whole dance glide with masterful choreography. But surf and turf? What is a swirler to do? Suddenly things became purely self-evident : give me subtle red fruit, strong-yet-contoured tannic shoulders for structure and bright acid or give me culinary death! It was clear that Italy was the call and that Piedmont, in the hilly northwest of the country was the place for the wines that would sing to these somewhat incongruous dinner partners. Realizing I was short on Dolcetto I reached for a 2005 Pio Cesare Barbaresco and magic ensued! The wine’s bright acid lit up our tastebuds, coaxing the rich and distinct flavors from the grilled flesh of both entrees. The perfumed black cherry and raspberry fruit along with the signature soft rose petal aromas of the nebbiolo varietal drove the experience from successful to exotic. The structured, mouth-drying youth of the wine was softened to suppleness upon its encounter with the textures of both the sardines and sausages allowing the lush berry flavors to soar! Once again the pursuit of culinary and vinous pleasure ended in success. 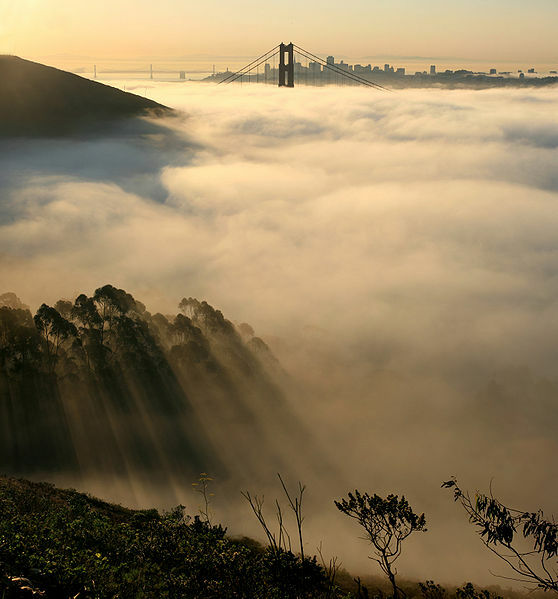 Clearly, grilled Monterey sardines and Italian sausage are to the wines of Piedmont as fog is to San Francisco: when all elements strike a balance, the sun will find a way to shine. I’ll immediately grasp your rss as I can’t find your email subscription link or e-newsletter service. Do you have any? Kindly let me know so that I may just subscribe. Thanks. Thanks for the comments. You can subscribe by entering your email on the right side bar. Stay tuned for some new interviews and other insight soon. Love the informations and the tone of the writing! Great work!